The battlefield of the mind. Please take note, this material has been put together with the view of assisting members of Christ body globally but in particular, South African believers to understand the nature of the current psychological warfare against her. And to also position her with a clear spiritual insight, mental and emotional (sound) discipline mind in engaging the enemy. This material does not cover all spheres of spiritual warfare, but seeks to highlight the role the various faculties of the human soul plays in determining and shaping perspectives, habits and behaviors. There are multilayered complex social and spiritual issues taking place across communities that is obviously clear that humanistic psychology, as seemly necessary as they are, and of course, the mainstream religious paradigm are not capable of resolving human challenges. Some of the key answer to these challenges lies in having a clear insight into the anatomy of the human soul. While the footing of this material is purely biblical, I have also taken the privilege of drawing from my own personal life, and the experience of others I have had the privilege of observing through the years of being in the ministry. The note will be divided into several parts that will be spread across weeks of posting in other to assist individuals follow step by step the building up of their capacity until the full required statue is reach in terms of being able to stand firm against the devious schemes of the enemy. And if the material in any way blesses you, I would greatly appreciate your feedback or comment. The Lord is building his church and the gates of hell shall not prevail over her. Without doubt, the state or condition of the mind of every member of the body of Christ in this epic season is going to play a crucial role in shaping the direction of the next kingdom frontier. We are in a season where the spirit of insecurity and fear are becoming some of the most deadliest arsenals in crippling the courage, passion, motivation and drives of those who are being called into the reality of present prophetic kingdom advancement. The current condition of humanity proves that the battle before us can only be won by those who have come into a matured revelational reality of what is referred to as a sound mind. Guarding the loins of our minds with the belt of truth is proving to be one of the most effective weaponry in facing the assault of the present darkness. How we face and process the sociocultural and religious attacks against the church of the Lord globally will be highly determined by the quality of the state of the mind of each member of the body of Christ. Soundness of mind, which can also be referred to as a well balance, discipline and productive frame of thought, is proven to be one of the key major areas the church of the Lord needs to work on if we are going to win the battle of the days ahead. 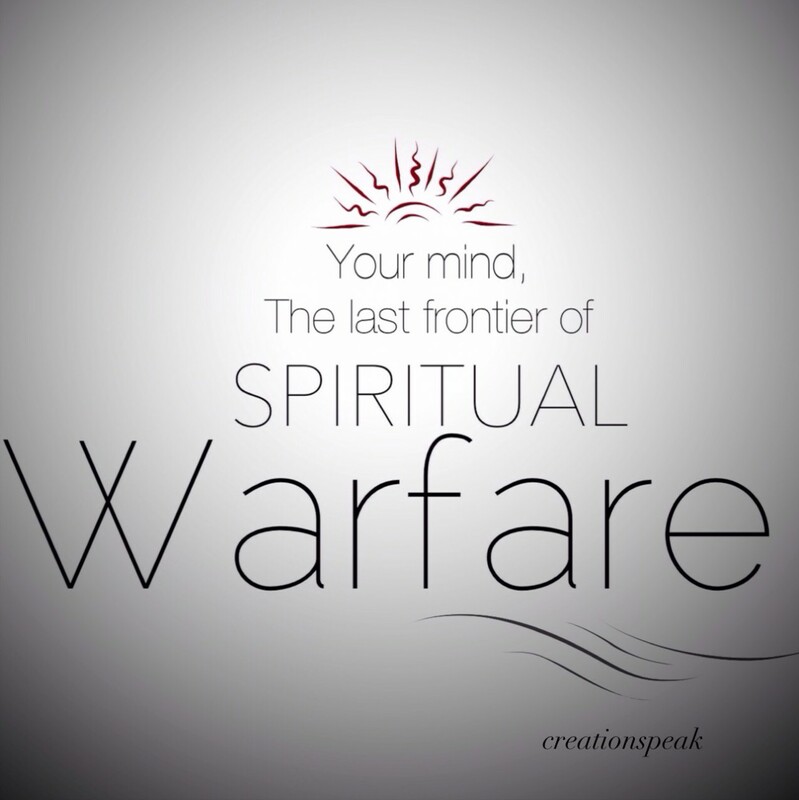 The body of Christ in the past has majorly focused on the state of the spirit when it comes to spiritual warfare. We however need to understand that we cannot have all round victory over the activity of darkness without securing total victory in the arena of our mental faculty. Those who understand the philosophy of war also clearly understand the impact they have over the human mind. In fact, one of the essence of war is to create a sense of fear and forceful submission to the stronger power. Wars are first fought and won in the mental faculty before boots are deployed on the ground. From the advent of time, human battles are designed to be a powerful tool in altering and reshaping the identity and the architectural landscape of nations and societies. The economy and the sociocultural architect of most society today have been undoubtedly shaped by the imprint of fear, designed in the times of war. A very good example of this statement is the story of most colonized regions of the world but in particular, Africa. Poverty and fear is one of the enemy’s strongest arsenals in controlling and manipulating the image and identity of an entire region or even a continent. It is said that there cannot be political freedom if there is no economic freedom. This statement is so true. However, freedom are seldom given by captors; they must be taken by those who are ready to fight. This mean that something has to happen within the psych of individuals and the corporate community to want to be free from the strongholds that keeps them imprisoned. Make no mistake, the church is in the middle of an epic battle that is challenging every strand of truth she has ever believed and accepted. Unfortunately, today’s church, arguably, seem to be loosing the war due to the wrong frame of thought and weaponry we have deployed in the battlefield. Sometimes back, the Lord began to draw my attention to the subject matter of the battle of the soul as it relates to 1). Seeking to understand the pathway to the complete restoration of all aspect of the human life and its fallen faculties. 2). To highlight the impact of emotional and psychological damage the unregenerated soul creates under the influence of false identity, religious ideology, insecurity and self-interest within the body of Christ and the society in general. 3). To try to understand the creative potential and sheared capacity the regenerated soul can produce when it’s properly aligned and restored to its divine moral position of functionality under the guidance of the ministry of The Holy Spirit and the living word of God. I guess the manner in which the Lord related this subject to me is a clear indication that the church and the nations have entered the last frontier of spiritual warfare as the reality of the coming of the reign of Christ glorious kingdom becomes more eminent. As the Spirit of the Lord began to unfold this words into my heart it’s as if i have never had or studied anything related to the subject of the soul before. It’s amazing to realize the enormous demonstration of governmental power and authority Sons of God are about to manifest on behalf of the kingdom of God as the subject of the souls restoration takes precedence. However, they will only become a reality when we start giving hid to the current demand of the Spirit, which is to close all gaps of division and segregation within us across the entire body of Christ. Whatever the Church assumed to know regarding the condition of the soul as it relates to the works of human character personality needs to be properly reexamined in the context of the present illuminating light coming from the throne of grace. The subjection of the unregenerated human thought pattern and the process of the transformed mind has been a fascinating subject to me. Ever since I discovered that one’s initial confession of Christ as his savior does not automatically address the whole issue of the corrupt and degenerated state of the soul’s faculty.